We all love reading Kindle ebooks, but today I noticed a very special page on Amazon. Their own editor’s had assembled a collection of what they considered the best new books of October. It’s a great selection of brand new books and Kindle ebooks — and a fun way to browser for something new to read..
Amazon’s editors even broke down their selections into 16 different categories. (There’s the best new biographies, children’s picture books, and even the best new Graphic Novels…) “We’re happy to share with you the unique mix of books that our editors have hand picked as this month’s best,” Amazon says at the top of the page. Here’s a look at some of their picks for the most interesting new ebooks of October. His last book, Steve Jobs, became a record-breaking best-seller (based on 40 interviews between the author and Jobs over the last two years before his death). 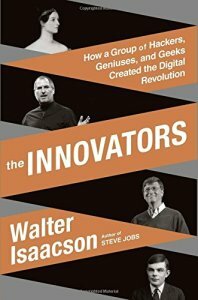 Now Walter Isaacson looks beyond Apple Computers to the other pioneers — both past and present. Steve Wozniak gets some attention, along with Bill Gates, Larry Page, and Tim Berners-Lee. But Isaacson also looks back to female pioneer Ada Lovelace who in the 1840s wrote about an “analytical engine” proposed by Charles Babbage — and also wrote the very first computer program. Maybe you remember him from How I Met Your Mother. 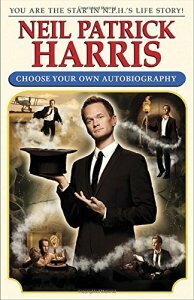 (Or from Harold & Kumar Go to White Castle…) But this Tuesday, Neil Patrick Harris takes his unpredictible personna to a whole new format. “Tired of memoirs that only tell you what really happened…reads his books description on Amazon. “Seeking an exciting, interactive read that puts the ” back in ‘aUtobiography’…?” Calling it “a Joycean experiment in light celebrity narrative”, Harris has written an entire autobiography that’s written in the second person — all about you! “You will be born to New Mexico. You will get your big break at an acting camp. You will get into a bizarre confrontation outside a nightclub with actor Scott Caan. Even better, at each critical juncture of your life you will choose how to proceed. You will decide whether to try out for Doogie Howser, M.D. You will decide whether to spend years struggling with your sexuality. You will decide what kind of caviar you want to eat on board Elton John’s yacht. 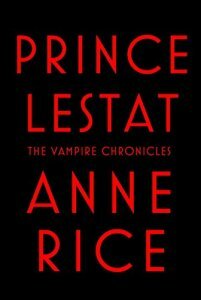 After more than a decade, Anne Rice returns to her “Vampire Chronicles” series with a new 480-page novel about the vampire prince Lestat. “The newly resurrected, but no less rebellious, Lestat addresses a mysterious twenty-first century vampire genocide,” Amazon writes in their description of the book, “with the same panache, self-absorption, and drama readers have come to know and love. ” The book jumps from the present to the past, and its sprawling story “raises interesting questions about the boundaries of science, conflicting beliefs, and a universal need to belong”. Even more interesting, the book has already become Amazon’s best-selling suspense novels — three weeks before the book is released on October 28th! 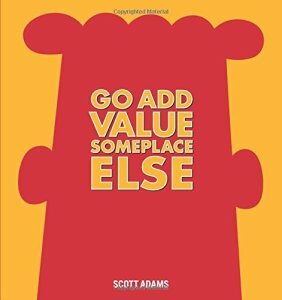 Scott Adams will release a brand new collection of Dilbert cartoons in just three weeks (on October 28th). And the Kindle edition is just $8.49. 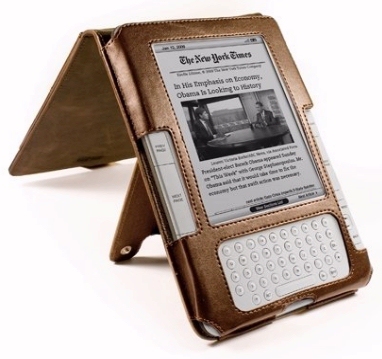 For past collections, at least some Amazon reviewers complained that the cartoons were hard to read on their small handheld Kindles. But comic strips have always looked great on the larger screens of Amazon’s Kindle full-color tablets — so hopefully this collection will find a happy audience of satisfied readers!